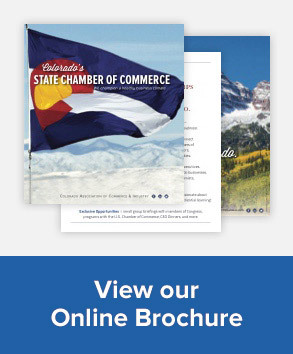 The diversity of The Colorado Chamber members reflects the value that businesses receive. We find value in the Labor and Employment Council, the Manufacturer’s Leadership Group, the EXECS Advocacy Program, and the The Colorado Chamber 101 orientation for new members. “That was a concern for employers that could be sued right out of the gate,” said Loren Furman, senior vice president of state and federal relations for the Colorado Chamber of Commerce. Read the complete article by Ed Sealover in the Denver Business Journal.